It was busy in the carrot kitchen today! I made 3 dishes and spent as many and more hours cooking. I barely noticed the time passing by. I guess that’s because I think cooking is FUN. I started out with raspberry lemon ricotta bread. The recipe was for muffins, but I was feeling like a badass so I decided to make bread instead. Aside from it totally falling apart when I took it out of the pan (must have taken it out too early), it turned out delicious and made an excellent pre-dinner dessert. I think I just made up a new course! Try it yourself – the recipe is right over here. 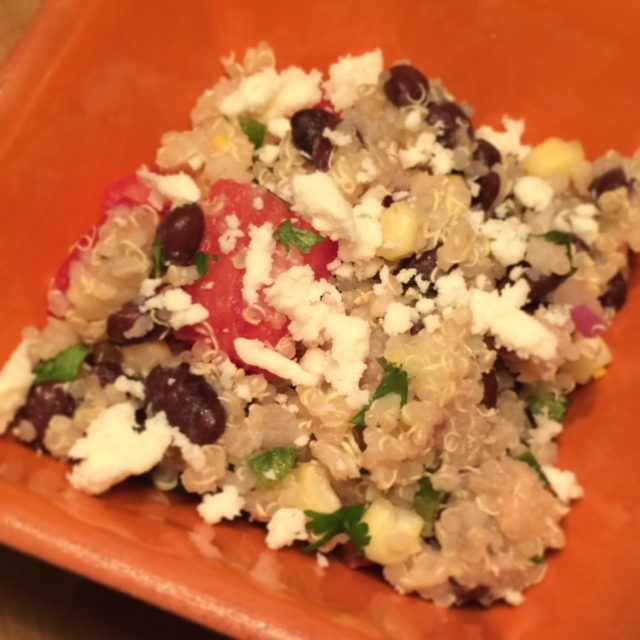 I just finished what will be our main dish – quinoa salad with black beans, tomatoes and corn. I’ve been making some pretty heavy and not-so-healthy dishes lately, so it was time to lighten things up a bit. This dish is super easy, tasty and totally healthy (aside from the cheese, I guess). Protein-packed and flavorful, it would easily serve as a great filling for a wrap. I bet some avocado would taste great on top, too. 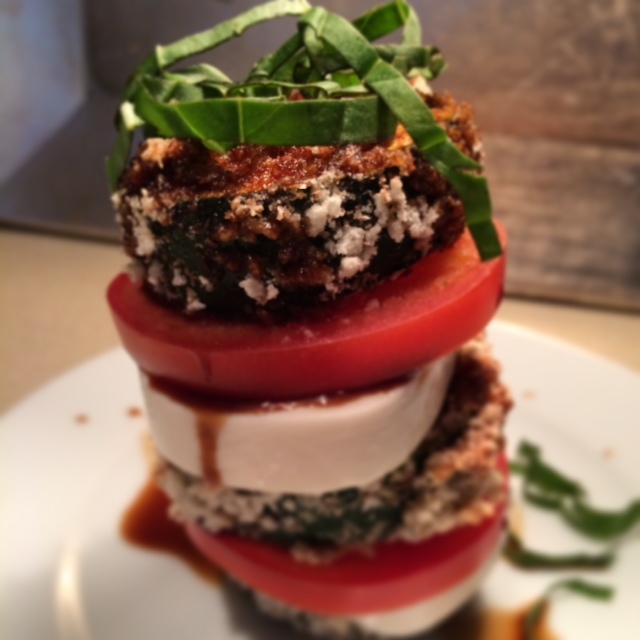 For our appetizer, we started with these baked zucchini stacks, which turned out to be what I was most excited about all day. OMG so good. They make me crave summer. I’ll tell you how to make them here. Oh yeah – don’t forget to follow me on Instagram! Recipe borrowed from Simply Recipes. Put the rinsed quinoa, salt and water into a pot and bring it to a boil. Cover and simmer gently until the quinoa absorbs all the water, about 10-15 minutes. Remove from heat and let sit for 5 minutes. Place into a large bowl and fluff up with a fork to help it cool more quickly. While the quinoa is cooking, prepare the rest of the salad. Soak the red onions in the lime juice and set aside. Soaking the onions in lime juice (or lemon juice or water) helps take the edge off of them. Mix the prepped black beans, corn kernels, tomatoes, cheese, jalapenos, cilantro, and oil into a large bowl. When the quinoa has cooled, mix it into the bean mixture. Add the red onion and the lime juice and add salt, more oil or lime juice to taste. Serve at room temperature.